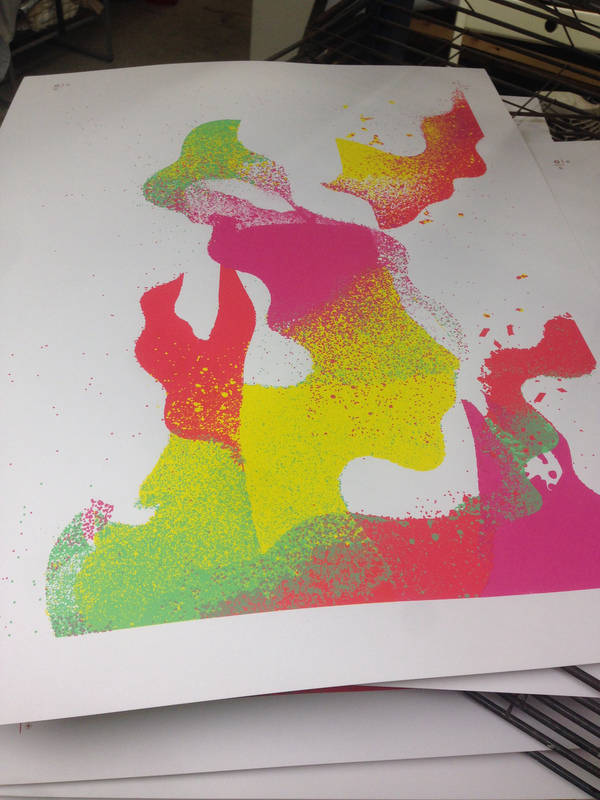 A complex 8 colour, 50x70cm print, printing onto GF Smith’s Naturalis Absolute Smooth 330gsm. As with ‘The Warmest Place to Hide’ most colours have had metallic silver added to give them a subtle sparkle. The geometric shapes are actually a thin layer of glossy pearlescent acrylic, giving a varnish like quality, which sits beautifully on top of the colours.